Our clients become our family even after the deal is done. 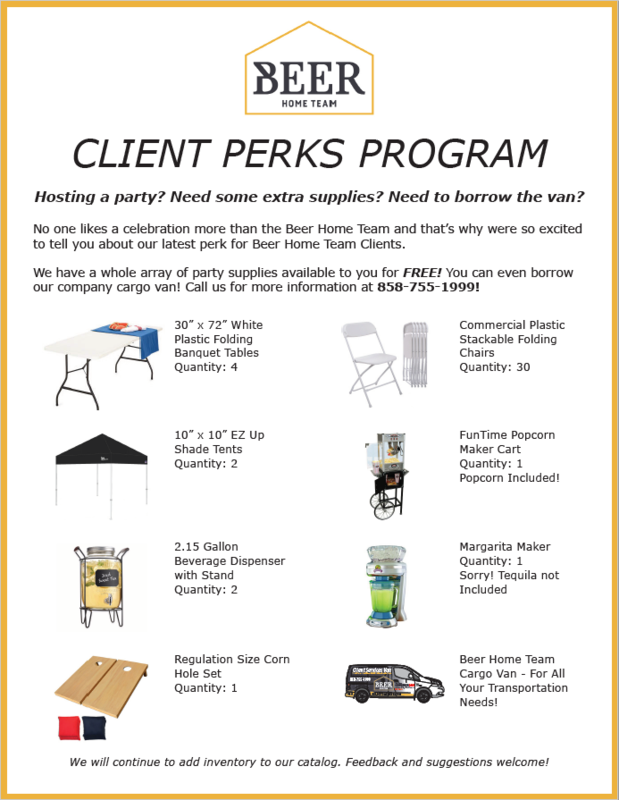 We offer a variety of party supplies for any celebration, for free! Pop up tents, tables, folding chairs, pub tables, ice coolers, margarita machine, and lots more. We also provide special no cost access to notary services, conference rooms, copy machine and other incredible benefits for being part of our world.